The number one roadblock to successful XBRL adoption is the need for filers to retool their back-end systems to generate XBRL filings that are compatible with their regulators' evolving taxonomy or taxonomies. Regulatory organizations that have mandated XBRL in their jurisdiction without providing an XBRL data collection or conversion facility have significantly burdened their filers, resulting in lower compliance and resistance to the XBRL mandate. Power Forms removes the financial and technological burden from the filers and provides them with an easy-to-use, web-based front end for users to verify financial information prior to submission. With the taxonomy identified, the Power Forms application dynamically renders a set of taxonomy-driven returns and schedules to facilitate the data collection of high-quality financial information. 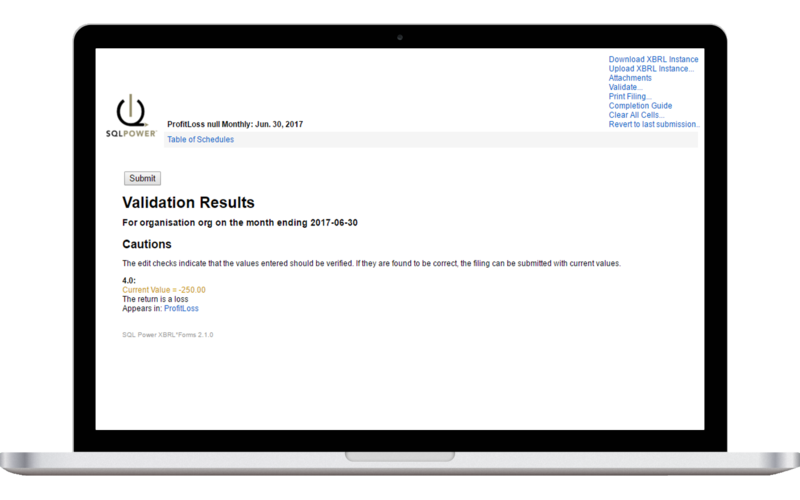 Power Forms validates each filing in real time against the taxonomy and certifies the return, generating the required XBRL instance document. 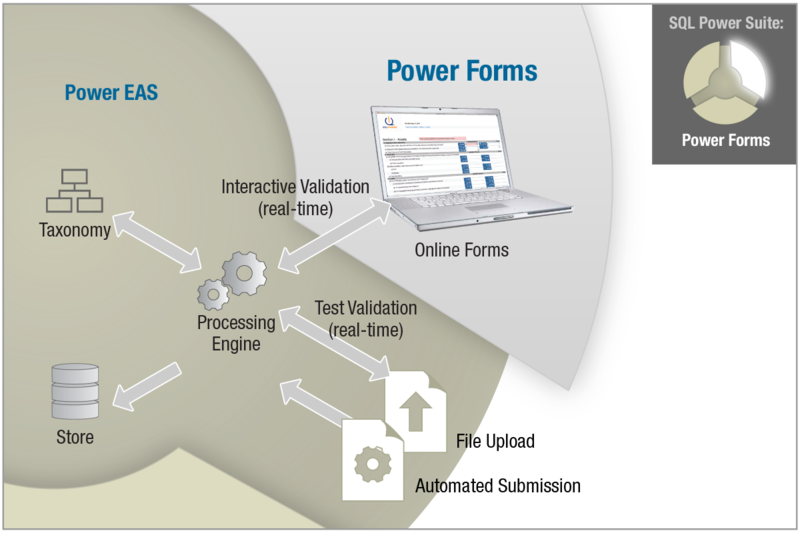 Power Forms also allows regulatory organization the flexibility to change their Data collection requirements, validation rules and reporting frequency, in very short order - without the need to provide filers with a significant lead-time for retooling. With Power Forms, Regulators move beyond compliance by effectively removing the burden and complexity of generating XBRL filings from the filing organization, thus enabling immediate adoption of the new filing standard. 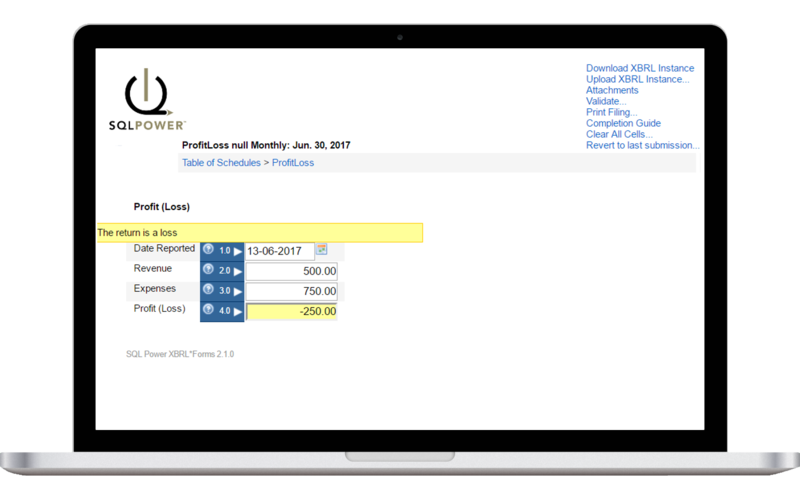 Power Forms provides a zero-footprint thin-client facility for data entry of financial information. This means zero software downloads are required - which translates into maximum compliance and maximum adoption. Zero-footprint offers the highest levels of automated filing to regulators and their regulated subscriber entities: a subscriber simply logs in via the internet and submits its business information or corporate financial filings via a secure, intuitive submission form dynamically rendered by the required XBRL taxonomy. Returns and schedules are automatically rendered based on information embedded in the taxonomy. Accurate submissions are ensured through extensive real-time validation as well as final certification. Interactive validation occurs on a field by field basis: as the user enters data, they are alerted to fatal errors or warnings defined within the taxonomy. Final certification occurs when the user is ready to submit or output the filing: all rules in the taxonomy are processed and a validation screen presents details on any and all fatal errors or warnings. Fatal errors will prevent a filing from being submitted, warnings will not. Validation errors and warnings can be extended in the taxonomy to virtually cover an infinite number of business rules through the use of XBRL formulas.